Gums that bleed after you brush or floss is one of the most common symptoms of periodontal disease. Even when you're brushing too hard, it shouldn't cause your gums to bleed. Brushing aggressively isn't a helpful habit, particularly if you have inflammation or irritation, but there is probably an underlying issue that is making your gums bleed. When your breath always smells bad (halitosis), it may be a sign of gum disease. The bacteria trapped under your gumline causes bad-smelling breath even if you are brushing twice a day. Inflammation and a change in the color of your gums are symptoms of a big problem. Purple or dark red gums, particularly if you also have bleeding gums, are an urgent symptom of gum disease. Another reason your gums may change color is due to habits (like a poor diet or tobacco use), which put you at higher risk for developing gum disease. Advanced periodontal disease causes your gumline to pull away and reveal more of your teeth than it should. If your gumline rises, it can lead to a lot of discomfort and damage when the roots of your teeth are unprotected. When you smile and there's not enough gums and too much enamel, this is a sign of gum disease. If you reach the later stages of gum disease and your tooth roots are visible, you might feel discomfort whenever you drink or eat something cold or hot. However, this is a sign of a cavity, which your dentist will consider during your dental exam. When the pain feels like it's near your gums, it's likely a symptom of gum disease. Ideally, you will visit your dentist at the fist symptoms of periodontal disease; however, if you don't get going to the dentist, it will become periodontitis with advanced signs. This includes exposed tooth roots and loose teeth. If your gums are weak, it can affect your teeth. When your gums are not strong enough to hold your teeth, it makes it easy for your teeth to be loose and/or fall out. The risk of an ongoing infection is also an important factor. Bacteria collected in your gum pockets will lead to an infection. The pus in the abscess will inflame your mouth and cause a lot of discomfort, as well as bigger problems if you don't get treatment. The infection can enter your blood, which will affect every aspect of your health. SRP (scaling and root planing) is a treatment performed by your dentist to remove the buildup from your teeth under the gumline. To begin, your dentist will use a special instrument known as a scaler to remove the buildup from your gum pockets. Next, they will smooth (plane) the tooth to eliminate crevices where bacteria and debris usually hide and become an infection. An SRP treatment (or a few) can stop gingivitis and heal your gums. Oral antibiotics may be added to help fully treat the bacterial infection in your gums. Dentist often prescribe antibiotics following an SRP (scaling and root planing) procedure to help your gums heal by eliminating any lingering bacteria. Surgery will eliminate the pockets, which are the root of the problem (trapping debris, inflammation, and affecting your gums). 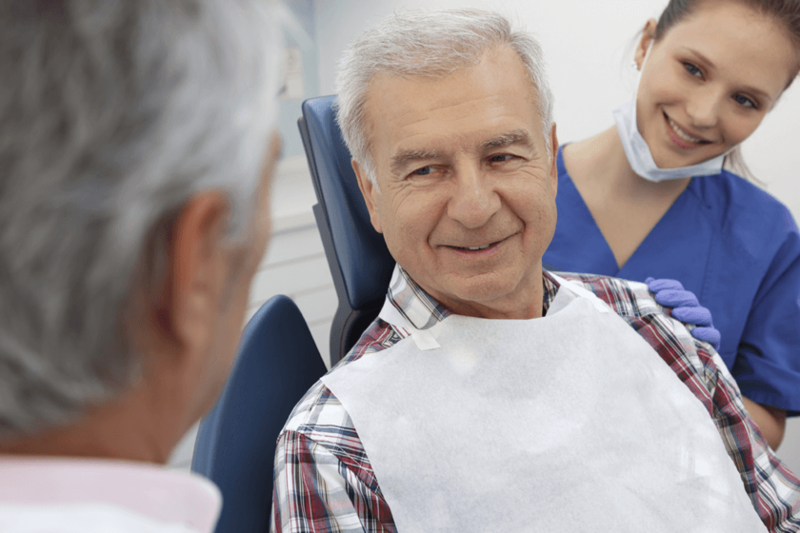 Based on your needs and your dentist, there's several ways to perform periodontal surgery. In your consultation, your dentist should explain your options and work with you to create a custom treatment plan. Whether you already have symptoms of periodontal disease or you're at risk for getting it, talk to a dental professional. Highland Dental Care and Ortho. offers gum disease diagnosis and many treatment options. Our team can correct gingivitis using one or more SRP (scaling and root planing) treatments as well as antibiotics. If you have periodontitis, our practice in Pearland, TX offer gum surgery to restore your oral health.